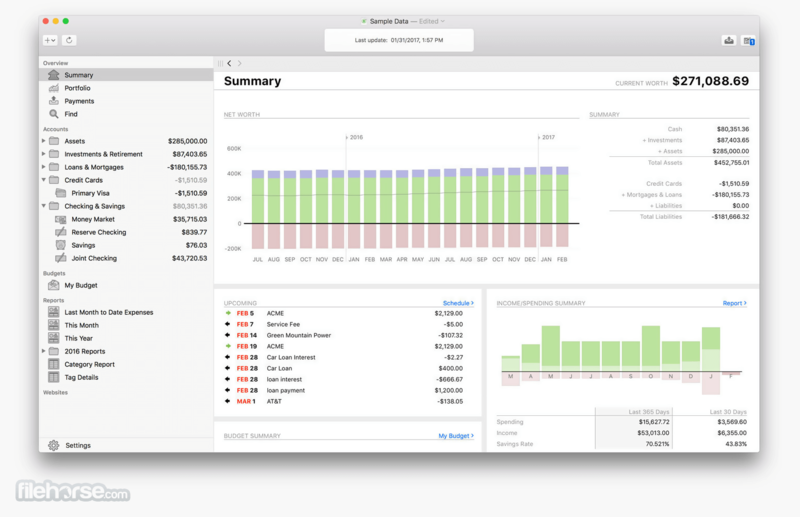 Banktivity for Mac (was iBank) is a new standard for Mac money management. 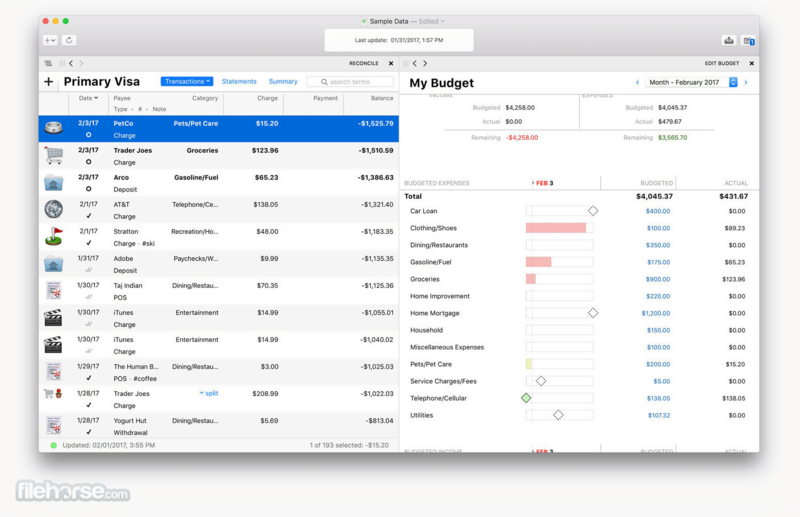 With its intuitive user interface and a full set of money-management features, Banktivity is the most complete software available for Mac personal finance. It lets you enter and edit your transactions with ease, pay bills online and on time, download your online account data, reconcile your statements, and track your investments with versatile and robust tools. 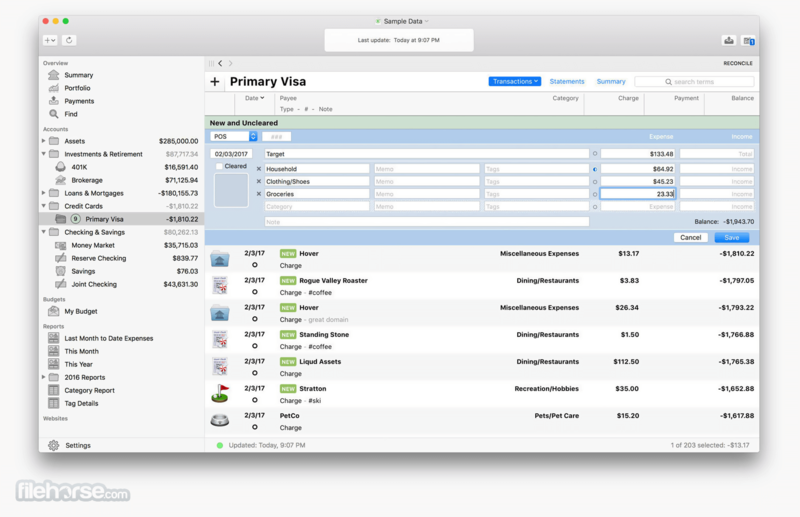 In Banktivity for Mac, it's simple to split, schedule or categorize transactions. With a couple of clicks, you'll be able to create powerful, dynamic reports using Banktivity's flexible templates (Income and Expense, Net Worth, Forecast, and more). And Banktivity's new envelope budgeting feature helps tailor your spending while building savings. Add your first account in minutes. Connect to over 14,000 different banks. You can even track the value of your home and other real estate. If you're moving from another finance app, our seamless import can bring over all of your accounts, transactions, categories and tags. Stop guessing about what you can and cannot afford. Banktivity makes it easy to understand even the most complex financial situations. Everyone’s financial situation can be broken down into goals. Maybe you want to pay off your credit card debt, build up a reserve fund, save to buy a house or a new car, or save for that kitchen remodel. Whatever your financial goals are, Banktivity helps you reach them through its powerful envelope budgeting. Make sure you have an adequate emergency fund to weather the rough times. See your net worth through time to make sure you are consistently building wealth. Keep track of your long term plays like your retirement and home value. Easily see how your investments are performing. You can even update the value of your property by pulling directly from Zillow*. Track the value of your real estate and compare directly to how much you have leveraged. If you own property in the United States Banktivity for Mac OS can automatically show you what your current home value is worth using Zillow’s Zestimates*. Track and manage your investments like no other mac financial software. Banktivity calculates percent gain, ROI, IRR and more. It even allows you to choose how you want to track stock lots, either FIFO, LIFO or custom. The bellwether of your finances - Banktivity automatically calculates your savings rate so you always know how quickly you are building wealth. Banktivity automatically gives you a breakdown of your net worth through time. A consistently increasing net worth is an indicator of good financial health. Banktivity shows you valuable investment metrics like short and long term gains, dividend returns, IRR (internal rate of return), ROI (return on investment) and even performance of individual lots. An integrated portfolio shows you the big picture. Note: 30 days trial version. Requires 64-bit processor.